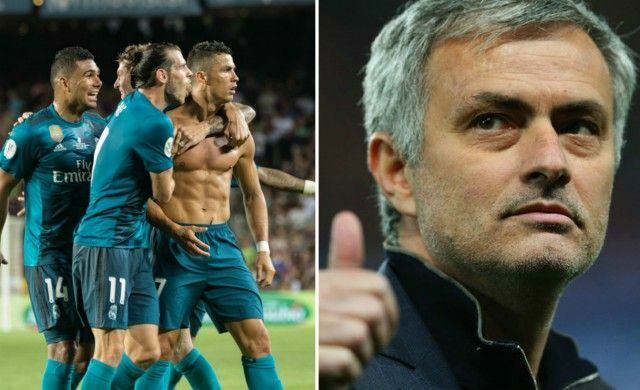 Manchester United and Chelsea may have been handed a potential transfer boost with the news that Gareth Bale’s departure from Real Madrid is in place. According to Don Balon, the Wales international is aware this will be his final season at the Bernabeu as both he and the club look to cut ties. The report adds that this exit could be one of a number at Real Madrid this summer as the club look to make room for the signing of Paris Saint-Germain forward Neymar. Bale has not been at his best for Madrid for some time now and has had his injury struggles during his time in Spain. A return to England could be ideal for the former Tottenham man, with United and Chelsea recently linked as candidates to snap up the 28-year-old. Don Balon recently claimed United were ready to pay around €80million for Bale, but another piece from Don Balon suggested he favoured the option of moving to Chelsea. Bale has long been regarded as one of the top attacking players in Europe despite his recent struggles and would therefore surely be a gamble worth taking for most Premier League sides.